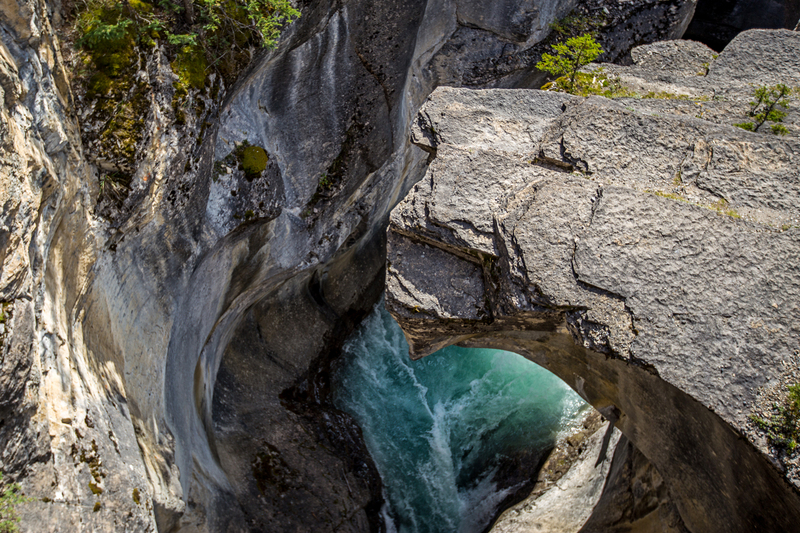 After a successful visit to Johnston Canyon, we hopped back in the car and continued north towards Jasper. 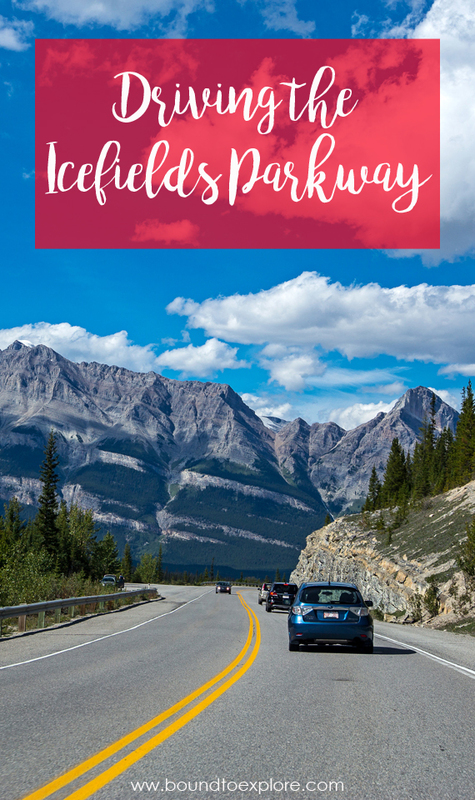 On a trip packed with scenic beauty, we were especially looking forward to our drive along the Icefields Parkway. 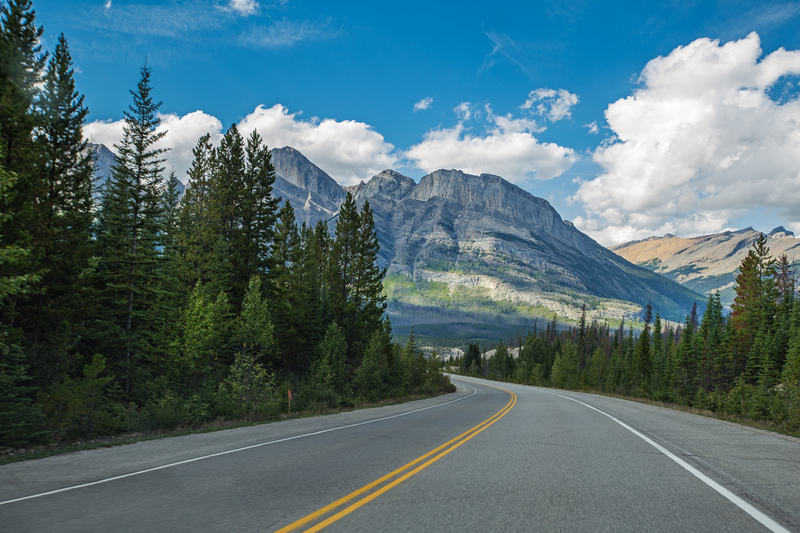 Famous for its stretch of unmatched natural beauty, the parkway travels between Banff and Jasper National Parks. 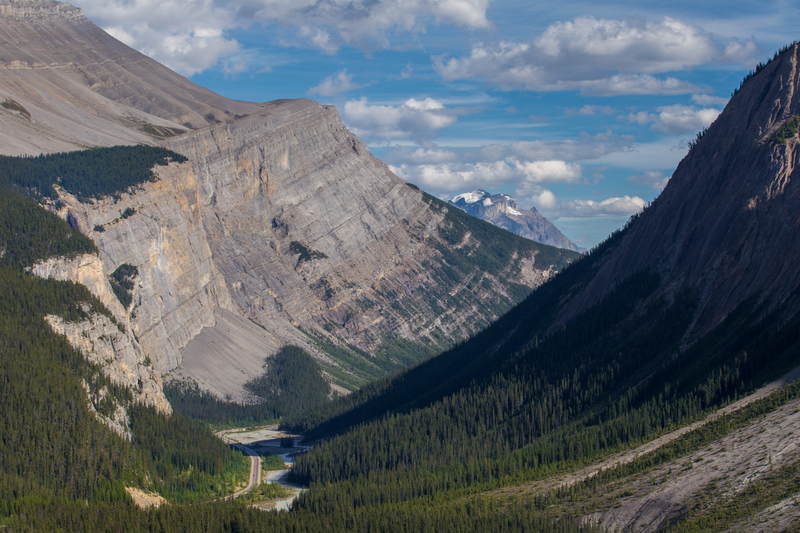 The 140 mile drive derives its name from the Columbia Icefield, which feeds several glaciers that can be seen as you traverse through the area. 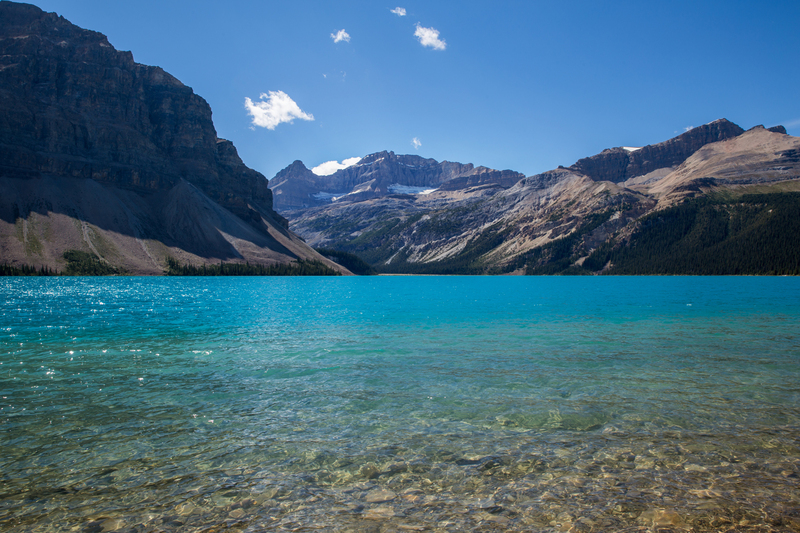 From Lake Louise, the drive to Bow Lake is a quick 23 miles. One of the things we loved most about the Icefields drive is the accessibility of all the sights. 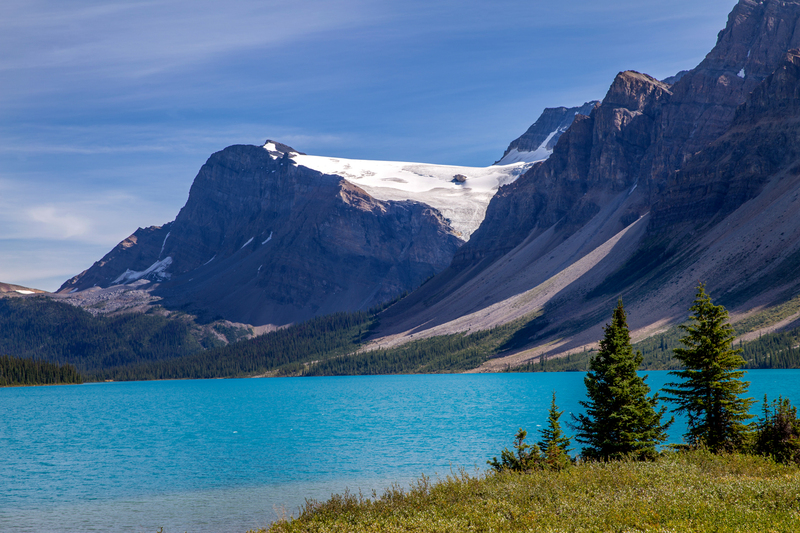 Bow Lake can be seen from the road, and it’s easy to pull over and enjoy the beautiful blue hues. 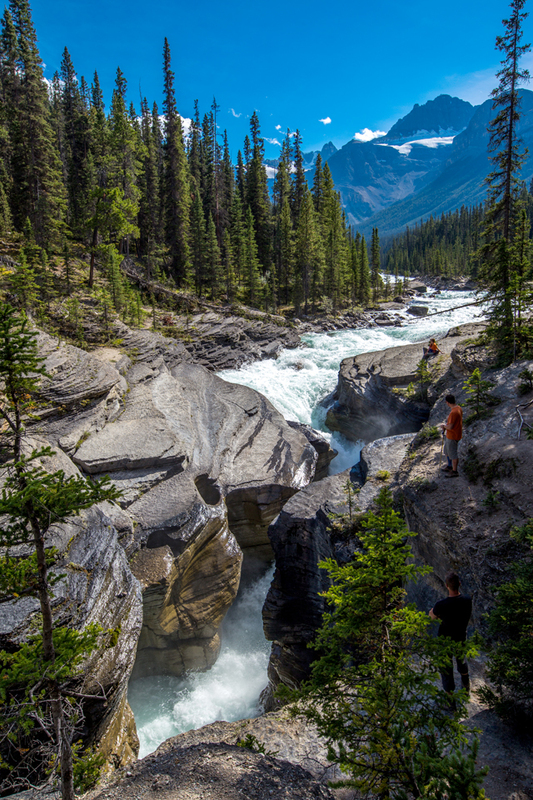 If you have more time than we did, there is a nice hike you can take to the Bow Glacier and the falls of the same name. 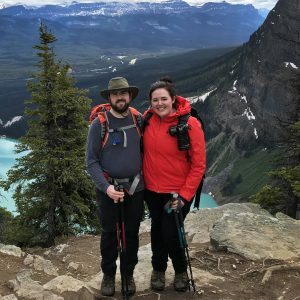 While Bow Lake is surely worthy of a visit, the superstar of this region, and the stop we were eagerly anticipating was Peyto Lake. 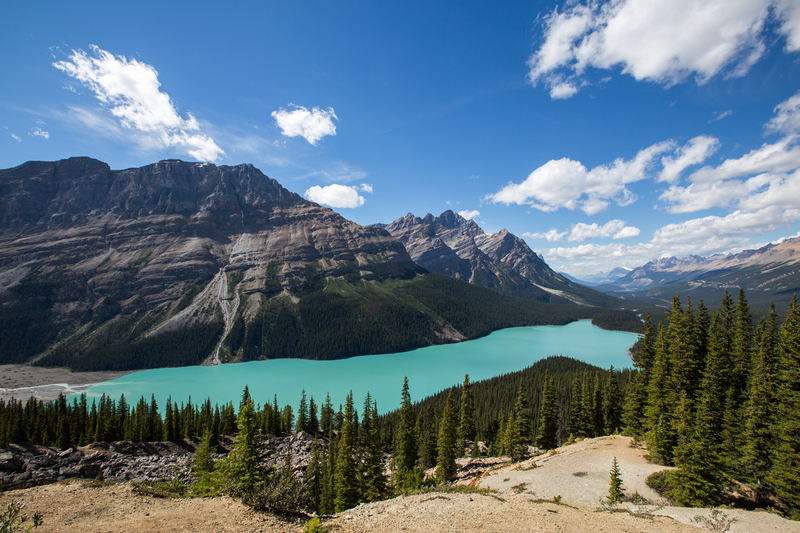 You can see Peyto Lake in pictures, but it’s something entirely different to witness its turquoise splendor firsthand. Named after Bill Peyto, an early trail guide and pioneer, the lake receives its famous color from the glacial rock flour that flows in. The color is most prominent in summer, so we were fortunate to visit at just the right time! To enjoy the lake, take the short walk up from the parking lot to the viewing platform which looks out over the lake below. 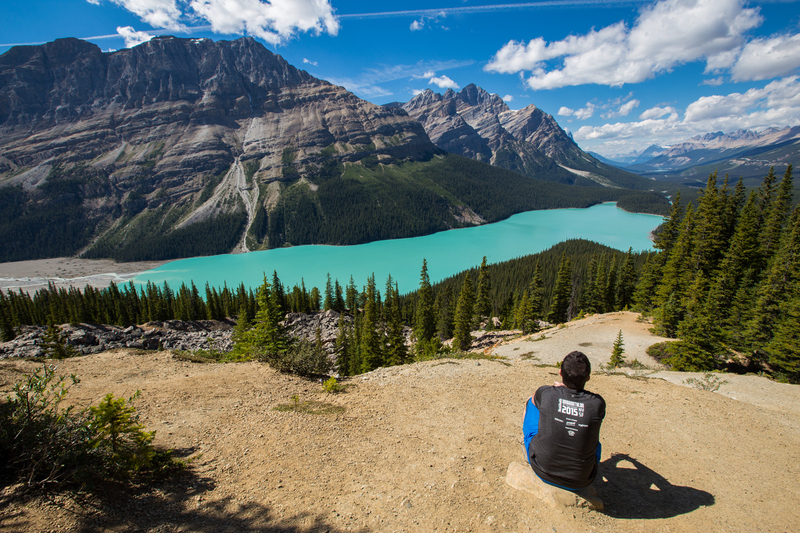 Tip: The Peyto Lake viewing platform is the most popular point to view the lake, but also the most crowded. If you’re like us, you’ll want to avoid the crowds. Before you reach the platform, make a quick right turn into the trees, which will lead you to a dirt overlook. Take in the views here, for as long as you like, it’s definitely a surreal sight! We later learned that there is a trail that takes you all the way down to the shores of Peyto Lake. Definitely an adventure for next time! 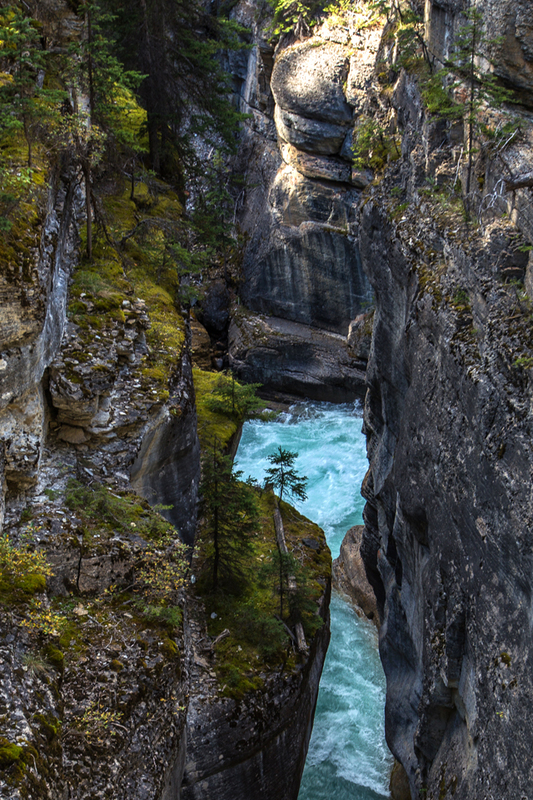 Just under 20 miles north of Peyto Lake, we made our next stop at Mistaya Canyon. 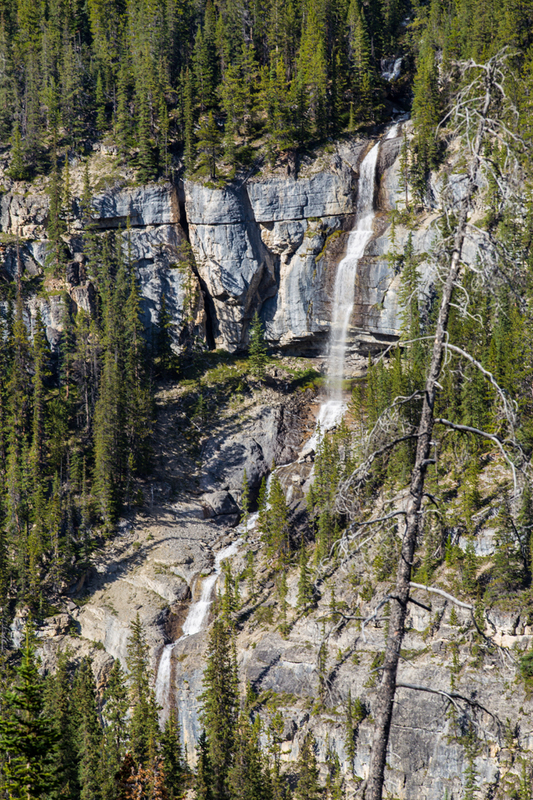 Formed by the Mistaya River, the canyon can be viewed via a short walk downhill from the parking lot. 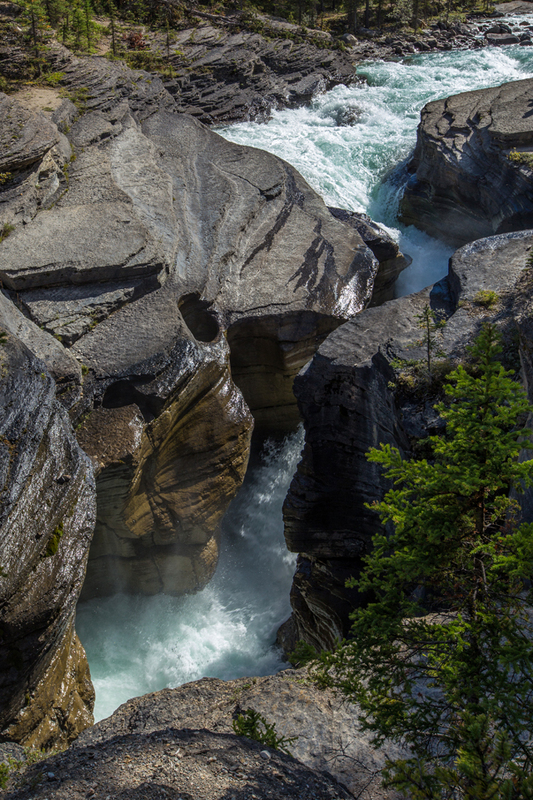 Here, the fast moving river has carved out some distinct curves, making the canyon a popular viewing point. As with any fast moving water, be sure to avoid the temptation to get too close to the river! Our last stop along the Icefields Parkway in Banff National Park was at the Big Bend/Big Hill lookout. This switchback is a great opportunity to look back at the road you’ve traveled on and provides stunning views below. Look closely, and you can see Bridal Veil Falls in the distance! 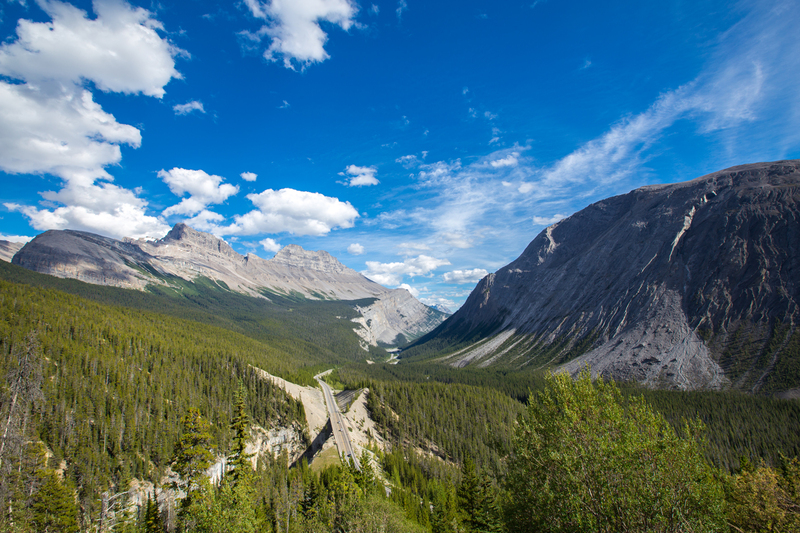 Tip: As you drive along the Icefields Parkway, it’s important to note that there is only one place to stop for gas and food. We stopped at the Saskatchewan River Crossing on our return from Jasper, but were sure to have a full tank of gas anyway as pricing can be as high as 50% over regular rates. Instead, we opted to enjoy and ice cream cone and take in the views! those photos look unreal ! You must have time of your life driving there ! Thank you! Yes, we had an amazing time and can’t wait to go back and see and do even more! Sounds like an amazing day. I’d say the Icefields Parkway is arguably the most scenic drive in North America. It definitely was an amazing day and trip! I would agree, so far, I’d be hard pressed to find a better stretch of scenery. Oh man, you got PERFECT weather for it! I never knew there was a trail down to the shore at Peyto, I’ll have to try and check that out! There are so many unbelievable places along there.